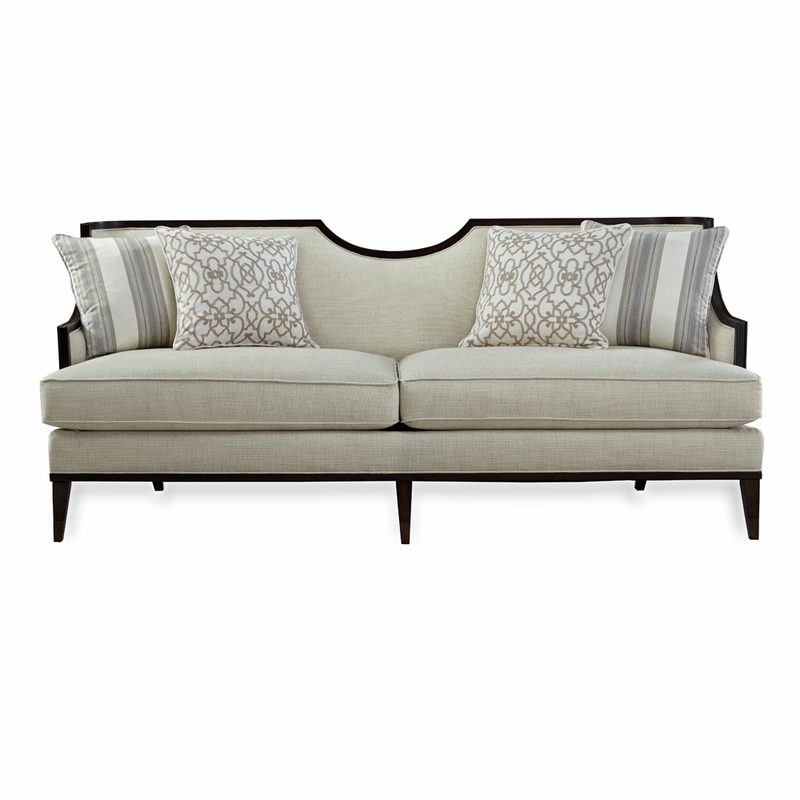 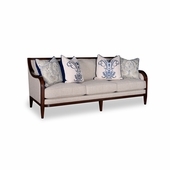 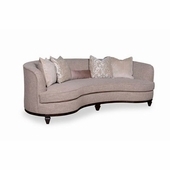 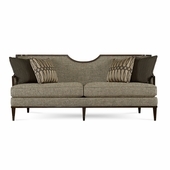 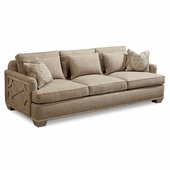 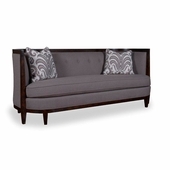 Clean and classic, the sleek Harper Ivory Sofa brings together elements of both contemporary and traditional design: square tapered wood legs, exposed wood frame, curved arms, and a reverse half moon cut out on the back. 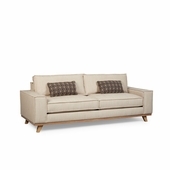 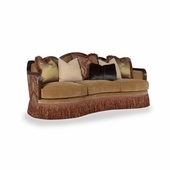 The sofa’s comfort, however, is 100 percent modern: tailored upholstered back and deck and two down-blend seat cushions, plus two pairs of down blend throw pillows. In addition to the sofa, the Harper Ivory collection includes a matching chair.